This book lists out the five critical conversational domains currently missing in most organizations. The reason many managers and leaders struggle is because the skills in these conversational domains are missing. 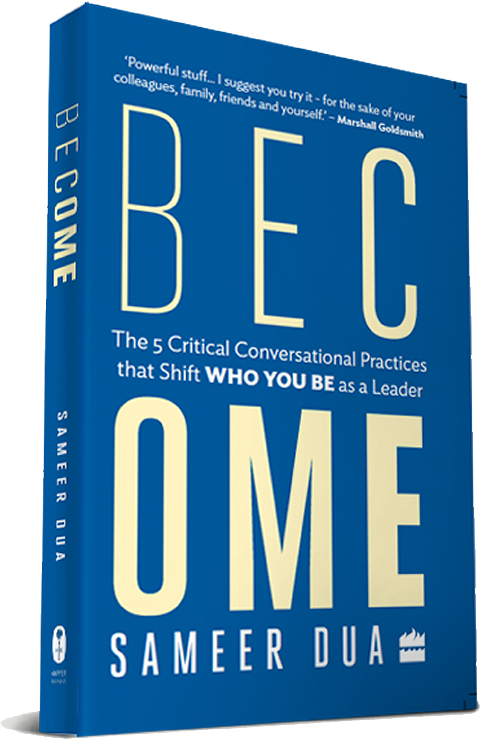 The book uses the acronym C.O.A.C.H to distinguish these missing conversational domains and redefines the key role of a leader and a manager to that of a Coach. 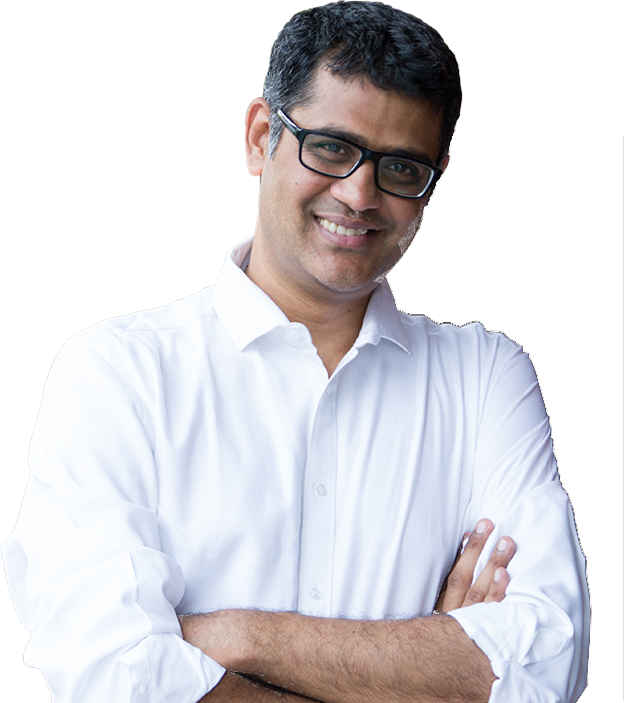 This book has relevance for CEOs, managers, entrepreneurs, and anyone else working with a group of people and is interested in generating extraordinary results. What if one could create a life, an organization or a team of design, rather than that of drift, by getting skilled in creating a future of choice? This book provides a simple 6-step framework to actively create a future of one’s choice. 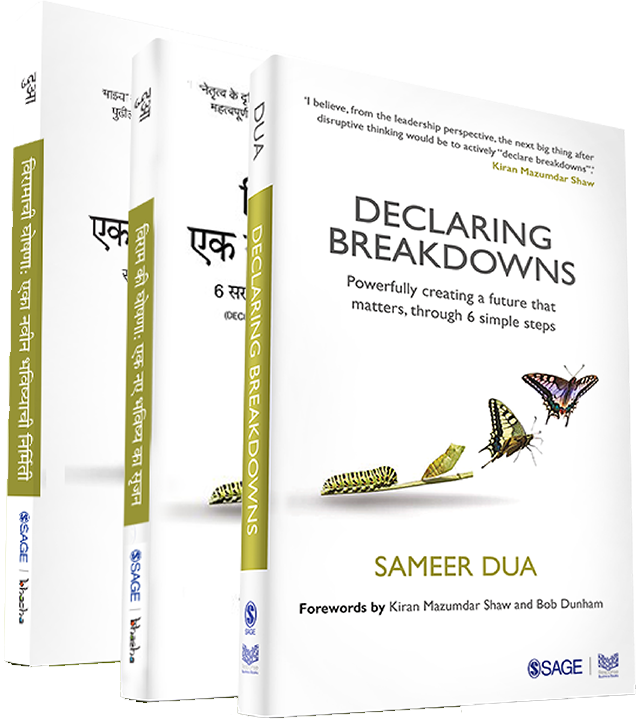 While this book is titled Declaring Breakdowns, it is about mastering the art and science of generating breakthroughs in each area of our lives. 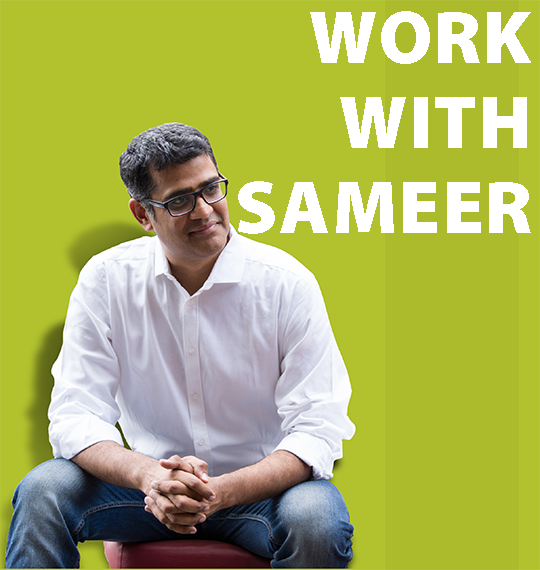 Sameer’s “Become: The 5 conversational practices that shift ‘who you be’ as a leader” is all about the key coaching conversations that leaders need to have with their coworkers. However, leaders need a coach to first have these conversations with them, before they start to play the role of a coach with their co-workers. These are not trivial conversations. They are not only crucial; these are non-discretionary domains of conversations. You need to have these conversations if you want to generate extraordinary results that matter. It is interesting how the word ‘coach’ came into existence. ‘Coaching’ as a term first appeared in 1830 at Oxford University as slang to mean a tutor who ‘carries’ a student through an exam. It is like how a coach (train car in this case) ‘carries’ passengers from one place to another. Coaching, since, has become a widely used term, and it literally means that the coach, through his conversations with the learner, ‘carries’ the learner to a new place of ‘seeing’ and to being a new observer. The Coach plays the role of a mirror. The mirror shows the coachee what they cannot see themselves and that’s exactly the job of a coach. The coach shows the coachee what they cannot see on their own.